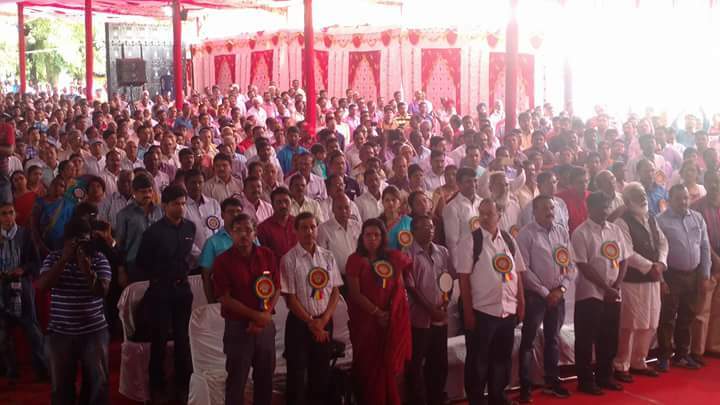 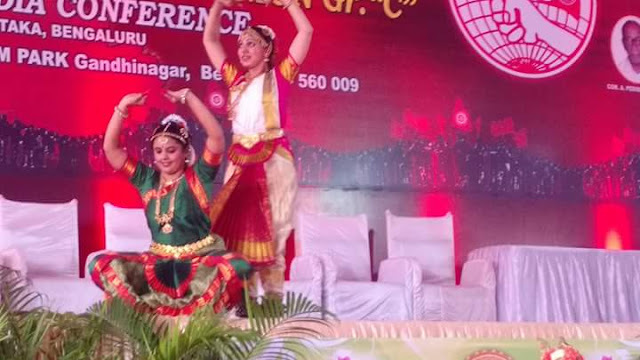 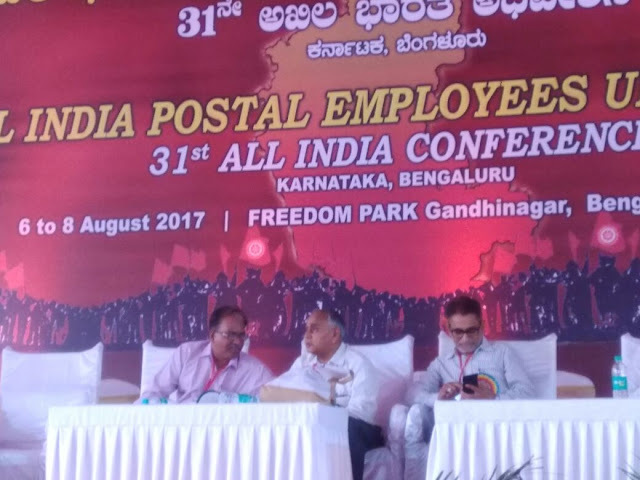 SPECTACULAR INAUGURATION OF 31st P3 AIC AT BENGALURU! 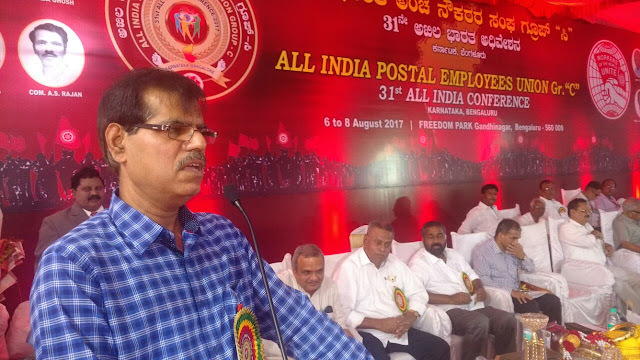 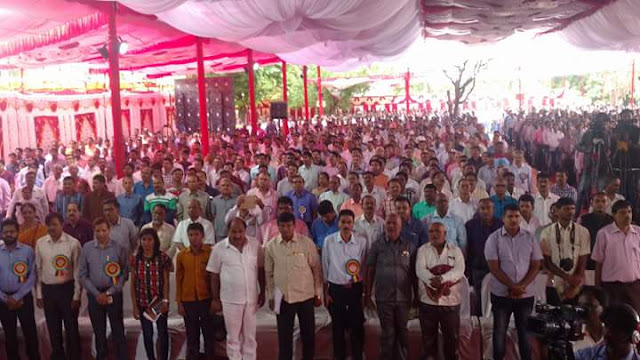 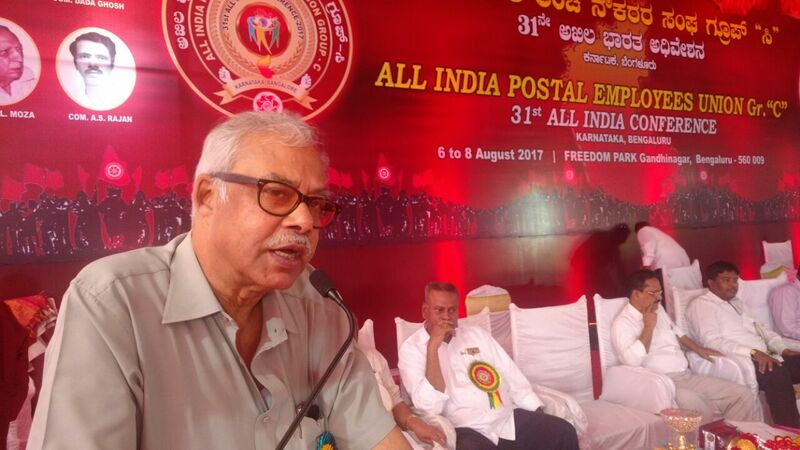 The 3 days session of 31st AIC of P3 NFPE Union has commenced at Freedom Park in Bengaluru today (06.08.2017) morning at 10.00 a.m. 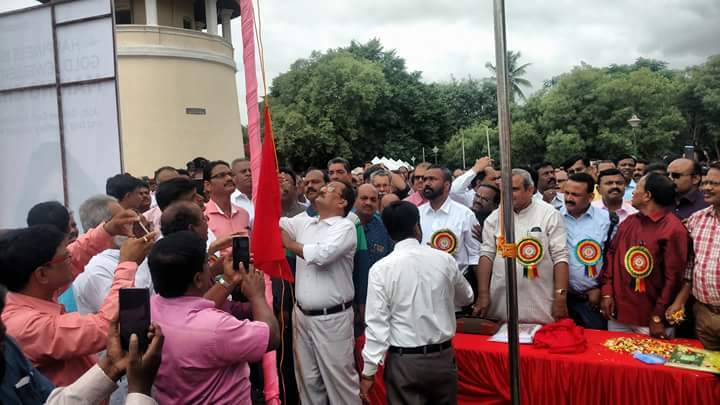 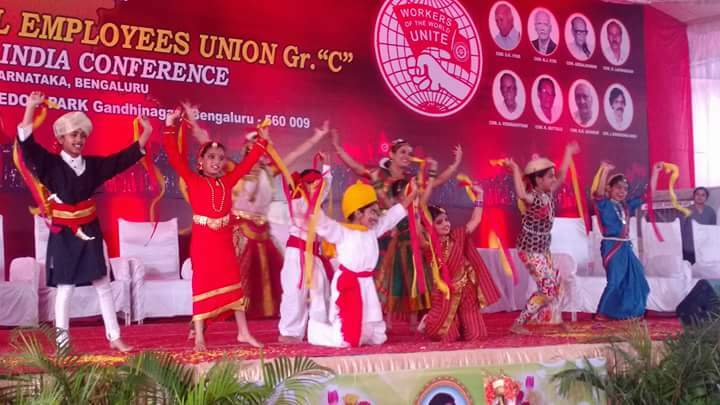 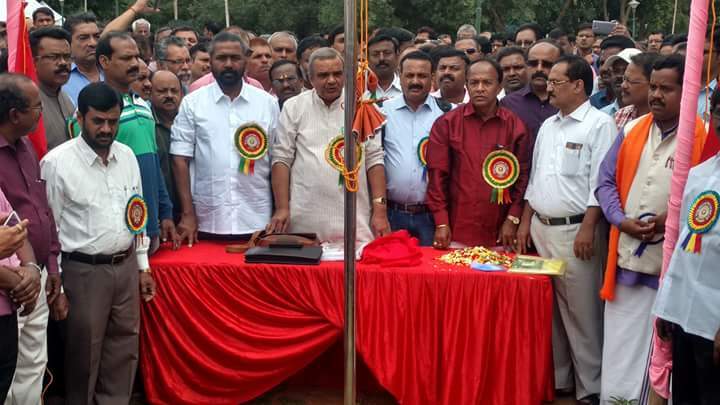 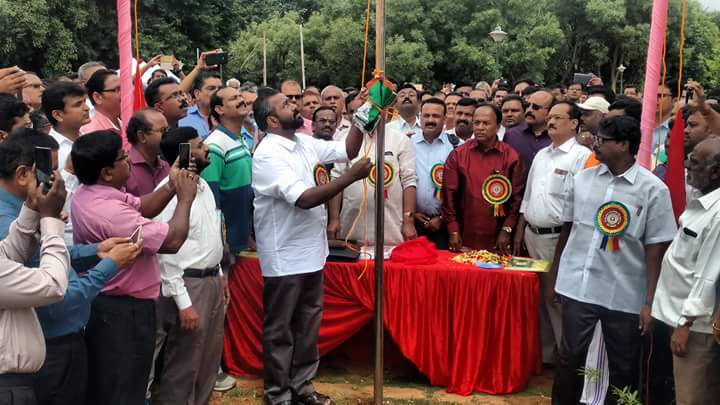 Flag hoisting, Cultural dances Song of Karnataka marked the beginning. More than 2500 delegates and visitors thronged the big conference Hall of Freedom Park (the renamed and refurbished old jail of Bangalore). 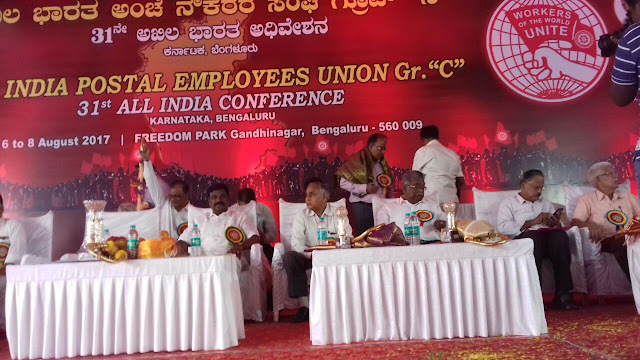 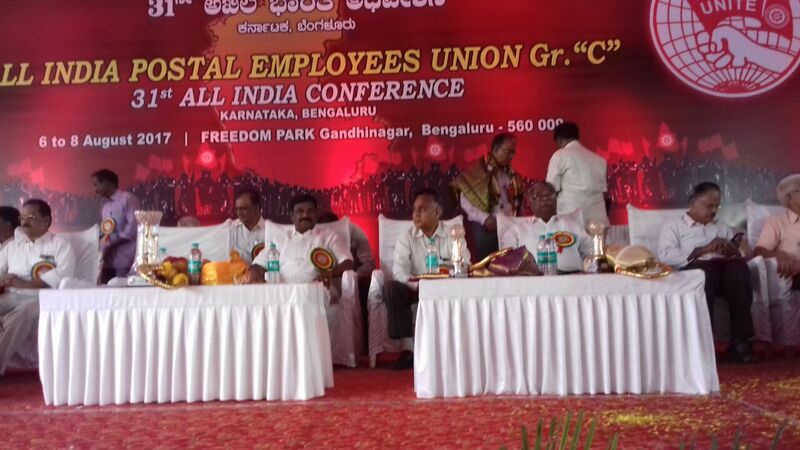 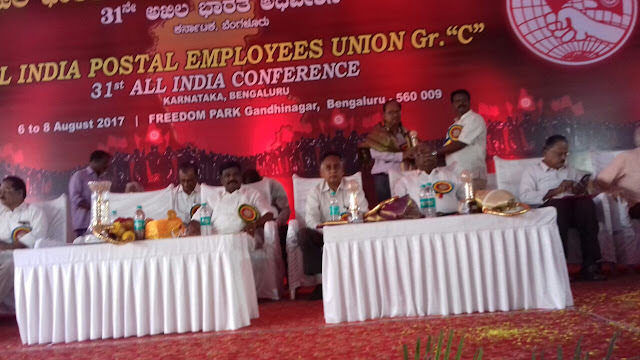 Comrades Tapen Sen (M.P and GS CITU); Shri.A N.Nanda Secretary Department of Posts; Shri.Charles Lobo CPMG Karnataka; Comrades J.Ramamurthy (CHQ President); M.Krishnan (SG Confederation); R.N.Parashar (SG NFPE & P3 GS); Giriraj Singh (President NFPE); C.C.Pillai (Ex-SG NFPE); K.Ragavendran (Ex-SG NFPE & GS AIPRPA); K.V.Sridharan (Ex-GS P3); VAN.Namboodiri (Patron NCCPA); R.Seethalakshmi (Ex-GS P4); and all General Secretaries graced the dais. 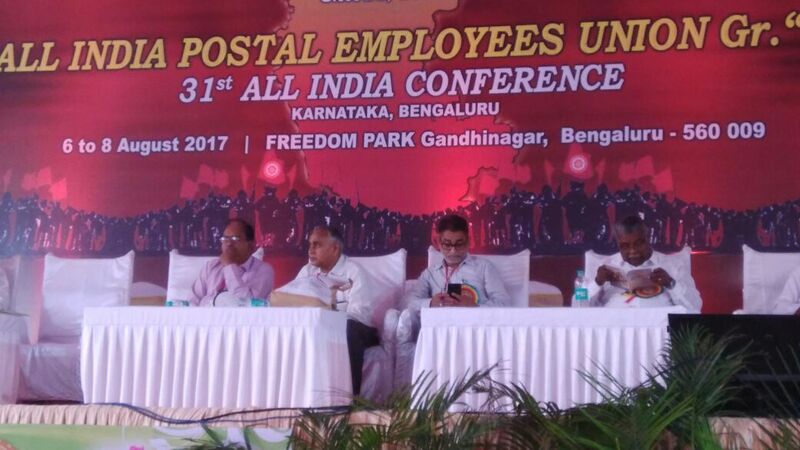 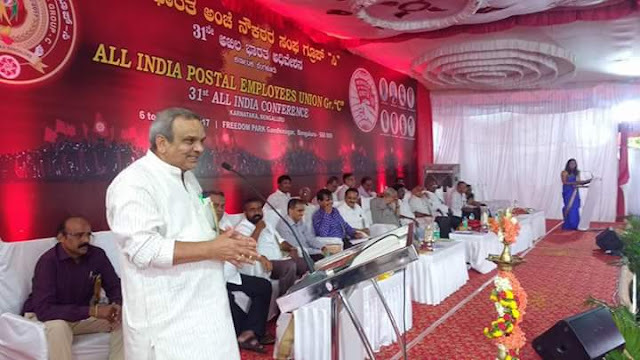 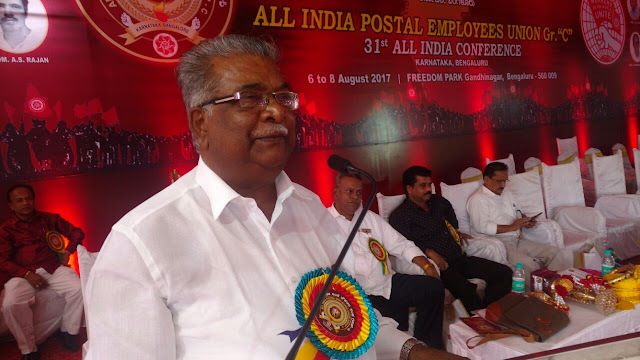 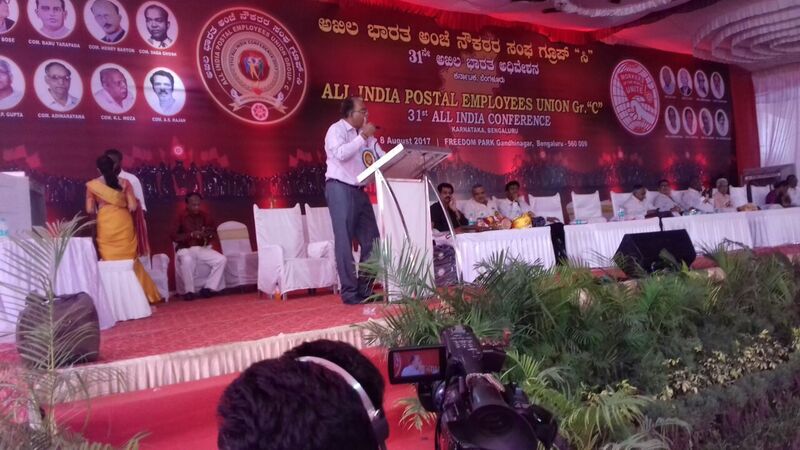 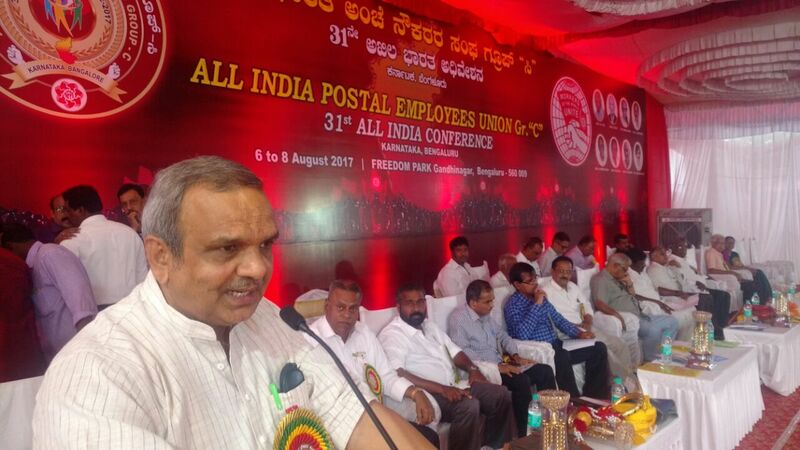 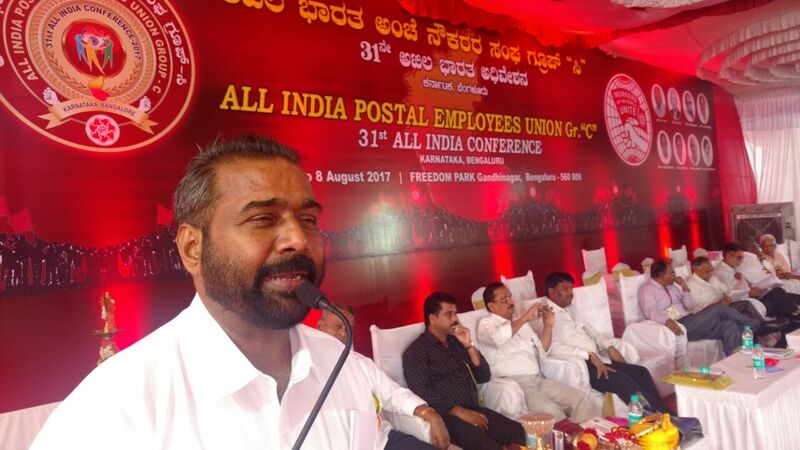 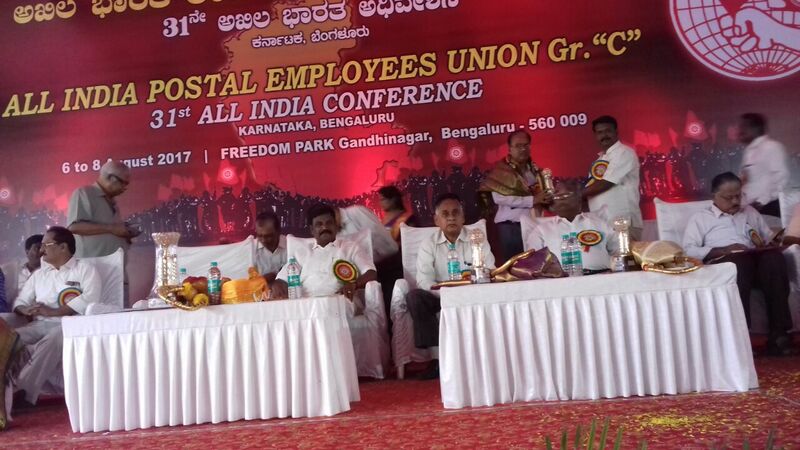 It is going to be a very important session of this biggest union of Postal Employees as many issues of most vital nature will be deliberated. 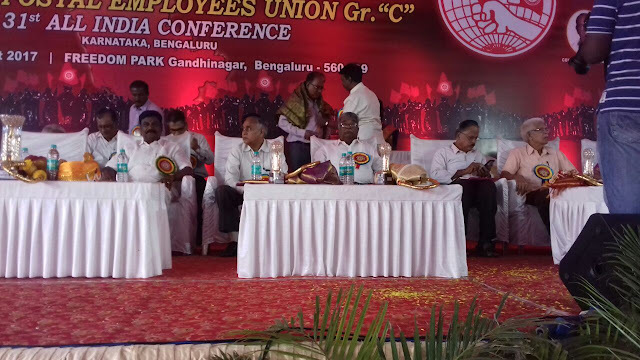 Shri.P.Sreedharv Reddy Chairman Reception Committee and Comrades G.Janakiraman General Convenor & N.Chandrasekar Whg.Chairman of Reception Committee made very excellent arrangements and also present and guided the eventful inaugural session.